MUNICH -- Canadian auto parts supplier Magna International Inc. prevailed last month in its bid to buy the German roof division of Wilhelm Karmann GmbH. Magna competed against Spain's CIE Automotive SA to acquire the roof unit, which includes shares in an operation in Zary, Poland, along with a factory in Osnabrueck, Germany. The deal still needs approval from European antitrust authorities. Magna also has taken over Karman's roof production in Japan. 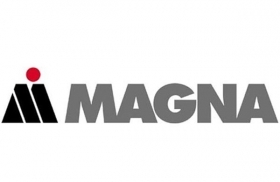 The purchases round out Magna's folding convertible roof division. In 2005, it bought Porsche subsidiary Car Top Systems, a roof-system specialist. Following a consolidation process in recent months, the convertible roof market is on the verge of being in the hands of just two main suppliers, Magna and Webasto AG of Germany. If combined, Magna and Karmann would have had a global market share of 52.4 percent at the end of 2009, according to the market researcher CSM Worldwide. Bavarian supplier Webasto bought insolvent supplier Edscha Group's convertible division last August. Together the two companies had a market global share of 39.5 percent at the end of 2009. Toyo Seat of Japan was the next largest player, with a 4.1 percent market share. With the Edscha deal, Webasto CEO Franz-Josef Kortuem hopes to strengthen the company's expertise in the softtop area. To that point, its strength had been in folding roofs. Kortuem considered the purchase necessary "for the company to play a significant and successful role long-term. If we hadn't had the opportunity to acquire a competitor, we would have had to give thought to exiting the business in the long run," he said after the takeover. CSM Worldwide expects the Magna/Karmann global market share to grow to 61.6 percent in 2012 as new vehicles are launched or the old contracts of rivals are phased out. A 33.3 percent share is projected for Webasto/Edscha. There are also misgivings on the manufacturers' side, according to industry sources. Automakers aren't thrilled with the idea of becoming dependent on two competitors dominating the market. A third major supplier would be welcome.